Oh my gosh.... I just love these pages, even if I do say so myself! I can't take too much credit though! Stampin' Up does all the work for me - this beautiful Designer Series Paper (Summer Smooches, which will be available on June 1 in the new 2012-2013 Annual Catalog) inspired these pages and the coordinating colors - just take a look at these vibrant, bold color combinations - reminds me a bit of the garden center/nursery I visited the other day - I was just blow AWAY by the beautiful colors on display - you could really tell that there was such love and care given to those plants and flowers - just like Stampin' Up does for it's beautiful designer series papers, and everything else, for that matter! I used the Frame, Scallop Oval die (retiring on May 31) with the Big Shot for this first page - and mixed up the color combinations on the scallops and ovals to add some additional "pop" to these pages. I also embossed the flower image (with clear embossing powder) from the Flower Fest stamp set (which is also retiring on May 31) and added a Brights Glimmer Brad for some sparkle! 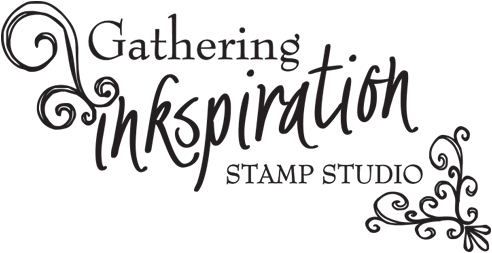 For this next page, we punched a bunch of Postage Stamp punch pieces with my scraps of Summer Smooches DSP (which I have a TON of already, because I've used this paper so much already!). 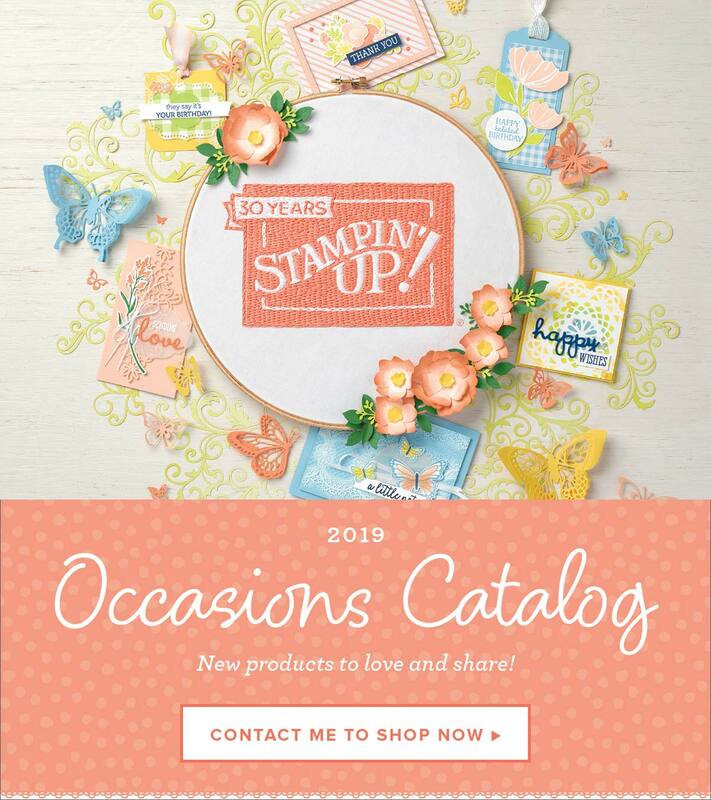 We added a couple more strips of this beautiful DSP (the Lucky Limeade and Rich Razzleberry strips, in this case) and clear embossed the butterfly from the Flower Fancy stamp set, too. I toned it down a bit on this last page.... We used some retiring Designer Series Paper (Just Add Cake and Flirtatious Specialty, in this case) and stamped images from the Pocket Silhouettes Stamp Set (another retiring stamp set). Lastly, I added a Circle Fire Rhinestone brad to the doily. What fun!! 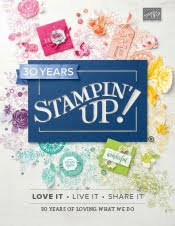 If you'd like to join us at next month's Scrapbook Class.... We meet the third Thursday of every month - next class is on Thursday, June 21 at 7pm. 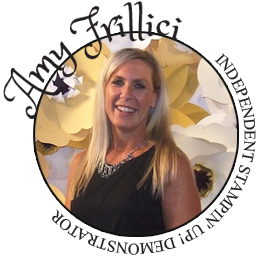 Just email me at amy.frillici@yahoo.com to RSVP today!